Fall is in the air and the farms across Ontario are gearing up for fall fun on the farm. One of the great things about living in Ontario is that there are lots of farms that offer fun for families. Escape from the hustle and bustle of the city and create some great family memories on one of the great local farms listed below. Follow us on Facebook and Twitter to enter to win Family Passes for a day of fun on some of these great farms!! Snyder’s Family Farm Enjoy a day out in the country! We have something for everyone, puppet shows, petting zoo, hayride, corn maze, and so much more. Fall treats to tempt anyone, freshly made caramel apples, deep fried mars bars and pumpkin pie. Over 16 activities to enjoy, come out to Snyder’s Family Farm and create memories to last a lifetime. Chappell Farms – Attractions include: Farmyard animals, hay maze, Corn Maze, Boo barn, Trike track, Sand Diggers, Play area, Pick your own pumpkin. Added attractions on weekends include: Magic shows, Live entertainment, Jumping castle and a Haunted barn. 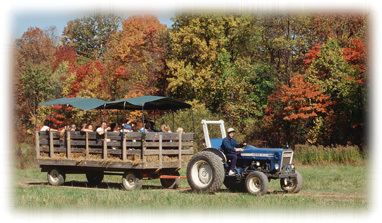 Downey’s Farm – Fall fun at Downey’s includes Unlimited Wagon Rides, Live Entertainment, Super-Cat-Super-Curve, Dump Truck Slide, Balloon Typhoon, Trike Track, Face Painting, Straw Jump, Farm Animals, Super Corn Maze and the The Black Hole. You will not want to miss the fun! Brantwood Farm Fall Festival Weekends – Face Painting, Pony Rides, Hayrides, Corn Maze, Haunted Hay Maze, Obstacle Course, Pumpkin Bowling, Needle-In-Haystack, Pumpkin Putt, Pumpkin Bounce, Pumpkin Picking, Apple Picking and Food. Yeehaw Adventure Farm – Weekends in October come out to the Harvest Halloween Hillbilly Hoedown! The great weekend activity is Fall-Farm-Fun- Hillbilly Style! Good old fashion country fun for the whole family-Seniors and Jr (of course), families (big and small!) corporate and large groups, church youth groups always welcome! 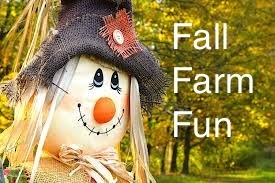 McMaze – When you visit the farm during the fall you can enjoy the many activities for the kids in the fun farm, take on the challenge of a maze and choose your Halloween pumpkin. At night time enter the haunt maze…if you dare! Hanes Corn Maze – Hanes isn’t just a corn maze. But the corn maze will amaze or haunt you. You can also visit with the farm animals, run in the play areas, have a picnic, and do hands-on activities. Don’t forget to pick up our pumpkin from the pumpkin patch while you are there. Richardson’s Farm & Market – Oodles of fun awaits you at the farm this fall. Explore the 6 km of trail in our 7 acre corn maze, challenge yourself to figure out the Jammed Tractor mini maze, cats cradle maze and pathway puzzle maze and play in the strawbale maze. Lasso some toy horses, play in the corn box, enjoy a tractor ride, visit the animals and chuck some pumpkins at targets. Of course before you leave, don’t forget to get a pumpkin! Rounds Ranch Pumpkin Mania – Enjoy some family time on a wagon ride to pick your own pumpkin, Pie eating contests, pumpkin toss, Pumpkin slam dunk, Pumpkin hockey, Pumpkin seed spitting, or spend some time in the play area with the animals, on the pedal carts, corn maze or riding a pony. Pingle’s Farm Market – Fall Farm Weekends – Play areas, Straw Maze, Trike Track, Farm Animals, Bunnyville, Face Painting, Bugsy Balloon, Pumpkin Balloon, and Pedal Cart Track with more new carts! Don’t forget to check our newest addition to the Fun Farm, Pingle’s Barn Bouncer. Leaping Deer Adventure Farm – Spend an afternoon at Leaping Deer Adventure Farm and Market and you’ll find plenty of fun activities to keep the family entertained. Watch your fave pig race, tackle the maze, go on a wagon ride, pick your own pumpkin and so much more! Buckhorn Berry Farm – You can’t help but have a great day with all these fun activities!! Your admission includes: Daily Entertainment – Tim Holland, Barnyard Animals , Mazes (a straw bale maze and 2 corn mazes, one of them is haunted, Play area with a huge sand pile, Pumpkin Bowling, Bonesville Cemetery, Pumpkin Patch Wagon Rides and Pumpkin Cannon. Don’t forget to check out the Haunted Barn and the Junior Spook Barn for a small additional fee! Thiessen Orchards – Hours of fun at Thiessen Orchards as you enjoy the Bouncy Castle, Barrel Train ride, Face painting, the Corn Maze and hay rides. Apple sales, the Kountry Kitchen, haymow, pumpkin patch and picnic area are open everyday as well. Now Open is their Haunted barn…if you dare! Warner Ranch and Pumpkin Farm – Haunted Hayride – During the Halloween season enjoy the fright and delight of our Haunted Hayride, held the last three week-ends in October on Fridays and Saturdays with the first ride going out at 7:00 pm with the last ride departing at 10:45 pm. The hayride lasts 30 minutes and takes you through 50 acres of haunted forest. Our Haunted Hayride attractions will ‘jolt’ you off your seat. Venture through our haunted forest in October, if you dare! Saunder’s Farm – Family Fall-tastic Fun! Just to name a few things, your family will have fun in the Pumpkin patch, mazes, Hayride, Barn of terror, Puppet shows, Pedal cart track, Monster parade, Activity zone, Discovery barn and SO much more. Maple Hill Corn Maze – A-Maize-ing Fall Fun for the whole family! 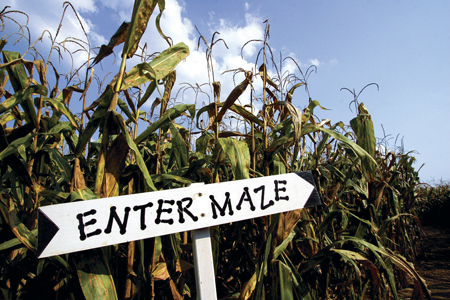 Get Lost in our Adventure Maze, hop on a hay ride, & play the Corny Facts Game. Have lots of fun in our 15 acre corn maze!! To go through the maze at night bring a flashlight and add a whole new challenge. Cannamore Orchards – Home of the spooky wagon ride! After you pick out your pumpkin, check out their family activity area where you can do outdoor finger and patio stone mazes, a pipe maze, an indoor dark maze, rainbow maze, many play structures for children, a sand box with toys and the picnic areas. Visit the animal corral and see our singing chickens! Great Lakes Farm – The apple barn is open daily for already picked apples, fresh apple cider, our famous apple pies and other apple-based sweets, treats and delicacies fresh from our bakery. You can also. Pick your own apples, pears and pumpkins, explore our corn maze and straw mountain or take a ride around our orchard with a Tractor ride. Fernwood Farms & Market – Pumpkinland will be open the last 3 weekends in October which will include Wagon rides, Corn Maze, Games, Mini Putt, Pumpkin Hunt, Pick your own pumpkin, play areas and animals. Green Mountain Farm – Hamilton Area’s destination for haunted family fun! For the Fall this Hamilton farm offers Haunted hay rides, a haunted barn, corn maze, pumpkin carriages, pioneer village and animal corral. Food is available for purchase and they serve TIM HORTONS coffee! Each weekend they have a little something different for their visitors … Cash Mob, Scavenger hunt, Spooktacular giveaways and Creepy crawly costume party! 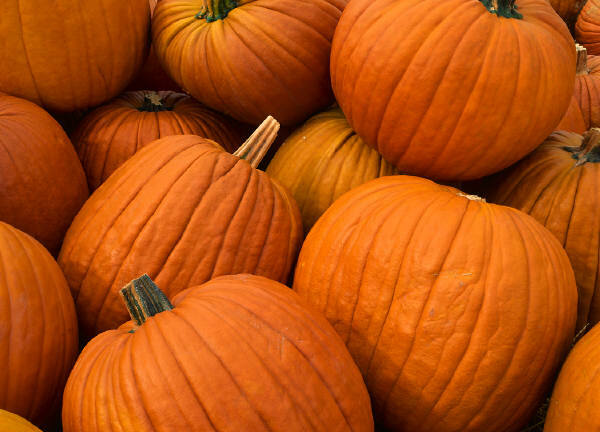 Ferguson’s Produce – Scarecrow Days – Lots of fun to be had for the whole family in the corn maze, target shooting with gourds, Halloween displays, Face painting, Horse drawn wagon rides, Make your own scarecrow, pick your pumpkin and then enjoy some burgers and fries. Talbotville Berry Farm – Join in on the fun of the Fall Family Weekends! Pick your pumpkin, go for a wagon ride , try your skills at the corn maze, eat lots of yummy treats and try the haunted maze if you dare! The kiddies can play the Maze Game! Every Child goes home with a Baby Pumpkin & Colouring Page! Apple Land Station – Come to “Pumpkin Hollow” and find the perfect pumpkin for your fall decorating. There are hundreds to choose from. Take a family time home with you and carve Jack-o-Lanterns for everyone…maybe you’ll find the Great Pumpkin Charlie Brown! While you’re hear enjoy a visit with the animus, take a ride on the train, spend lots of time playing or rolling down sand mountain and end it all off with a stroll through the corn maze. Gammondale Pumpkinfest – Your admission includes: A tractor pulled wagon ride to the mazes with prizes. Farm animals, tire swing, trike trails, Kids Corny Maze, BOO Barn, Pumpkin Sling Shots, Pumpkin Catapult, Black Tire’d Horses, Corn Stalk Horses, Bronco Train, Rubber Ducky Races, and NEW Pumpkin Peddle Carts. Cooper’s CSA Farm & Maze – There’s plenty for the family to do on the farm. In addition to our 10 acre corn labyrinth, we are home to a giant corn box, a combine harvester slide, horse swings, mini mazes, echo tubes, animal viewings, wagon rides, and a farm kitchen full of delicious homemade treats. Come and shop at our farm store for great produce, baked goods and preserves. Frootogo Orchards – Experience Fall at the farm. The fun includes mini corn maze, slides and swings, tot play area, jumping straw, giant sand box, trikes, animals and more. New this year, there will be puppet shows and a large corn maze. Vango Adventure Farm – A wonderful world for families and children to explore and experience farm life, animals, and TONS of fun activities. While our park is fairly new, we’ve been in the farming industry for several years and wanted a way to share the fun of farm-life with everyone. Posted in Contests, Fall Farm Fun, Family Fun in Ontario, Fun for Kids and tagged Contest, fall fun, farm festivals, farms, fun on the farm, ontario, pumpkinfest. Bookmark the permalink. Love taking the fam to Springridge — always a good time and yummy treats! Hard to leave without shopping in the awesome store too! HELP!! My baby is going to sleep away camp for the first time!